IN FOLLOWING THE GREAT COMMISION IT IS OUR RESPONSIBILITY AS LEARNERS OF CHRIST JESUS TO STUDY THE WORD OF GOD. MAKING DISCIPLES AND NOT DEPENDENTS IS A CALLING FOR ALL THOSE WHO SEEK TO WALK IN THE WILL AND WAYS OF OUR SAVIOUR. Whether you are new to studying the Word of God or you have been studying for years; there is never a limit to what you can uncover in the Scriptures. The topical study approach allows for those who are seeking to grow in the Word, to take a specific topic and gain greater understanding of that topic then go deeper in the text. This is a study tool that will assist in understanding of the Scriptures. John 1:14-And the Word was made flesh, and dwelt among us, (and we beheld his glory, the glory as of the only begotten of the Father, ) full of grace and truth. Grace without the Truth=False Doctrine Truth without Grace=The Law Grace and Truth=The Gospel "We have been given by the Holy Spirit, through men, sixty-six books of the Bible. We must teach all of the Word of God; not just the parts that make us feel good Thank God for His leaders who preach and teach the Word, but we must also rightly divide the Word of God for ourselves Ask the Holy Spirit to teach you His truth." Amen. 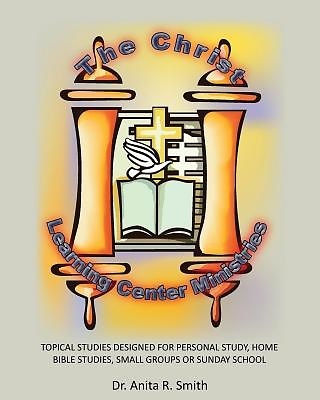 DR. ANITA R. SMITH is the President and Founder of The Christ Learning Center Ministries. This is a non-profit that is focused on developing teaching tools for the Body of Christ. She is an anointed teacher who ministers the Word of God. She has developed trainings for Sunday Schools, Home Bible Studies, and personal studies. She is a speaker for conferences and sought after by churches to do Biblical foundational teaching series. She is a licensed minister with a Bachelor in Biblical Studies from Cincinnati Christian University, a Master's in Theology from Links Theological University and a Doctorate of Ministry in Theology from Life Christian University. She lives in Cincinnati, Ohio."